Very Good. Paperback. Pages are clean with check marks in margins of a couple pages. Covers show very minor shelving wear. ; 100% Satisfaction Guaranteed! Ships same or next business day! Fine. Ships from CA-Please note: **Tracking info updates only when package is accepted by USPS and once package arrives at your regional USPS processing center. ** Please allow 7-14 business days for package to be delivered. ITEM CONDITION: Pages are crisp & appear to be clean. Minimal use, if any. Thank you for choosing Viva Books! Very Good. 1569802327; Paper Covers. Very minor wear on the clean, sound binding. Contents are almost as new, with no writing or other entries on the text. ; First Printing of the FIRST EDITION, 2002. 9" Tall, XVI + 447pp. B/w photo-illustrated light yellow Paper Covers. AUTOBIOGRAHY / HOLOCAUST STUDIES. "At 6 P. M. on April 7th, 1944 sirens shrieked continuously as two prisoners escaped from Auschwitz. Once free, Rudolf Vrba and Alfred Wetzler wrote a report that detailed-for the first time-the mechanics of the Nazi Death Factory. The report warned the world that the Nazis were preparing to kill nearly 800, 000 Hungarian Jews. The report was smuggled to Switzerland and eventually reached the U. S. State Department, the Vatican, and the British Embassy in Bern. 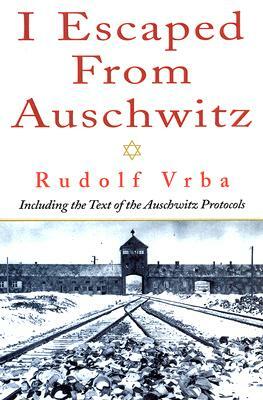 I ESCAPED FROM AUSCHWITZ is the first-hand account of Rudi Vrba's experience in the prison camp as well as the story of his daring escape. It also includes the full text of the Auschwitz Protocols whilch is considered by many to be one of the most important documents of the twentieth century. "...Two maps. Eight Appendixes.